Planning a big graduation party this year? 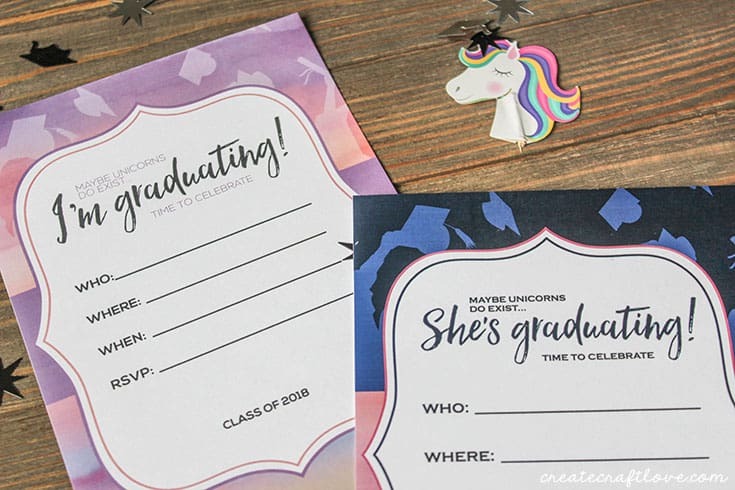 We created these unicorn inspired Customizable Graduation Invitations just for you! These invitations are playful and whimsical at the same time! 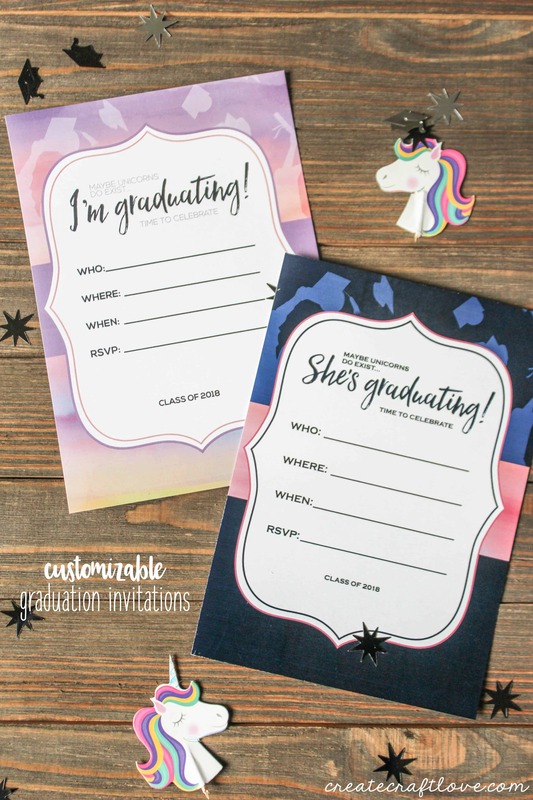 Perfect for grade school or high school graduation invitations! And who doesn’t like unicorns?! Each printable pack includes two invitations in PDF format. The “she’s graduating” is great for surprise parties. Simply download the invitations and print on white cardstock. 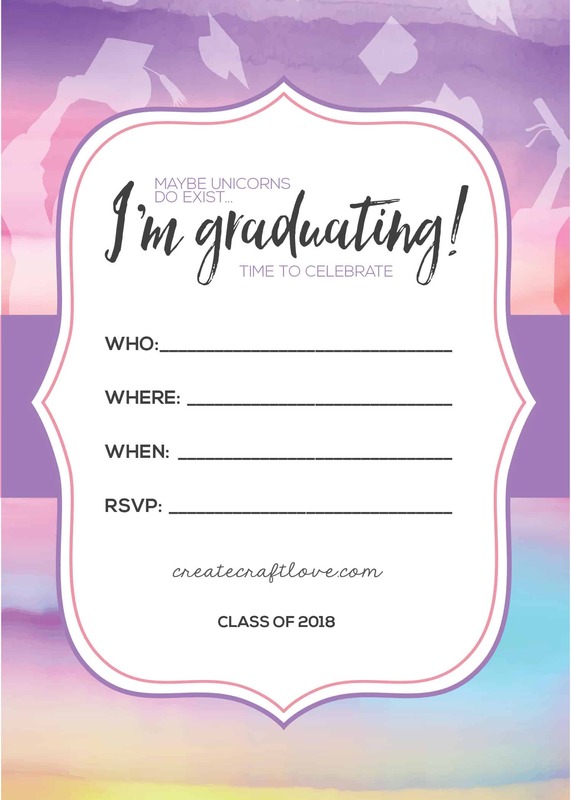 Fill in with Adobe prior to printing or write in your party info and mail to all your friends and family! These invitations go perfectly with our Graduation Geofilter for Snapchat! Be sure to check out that post! 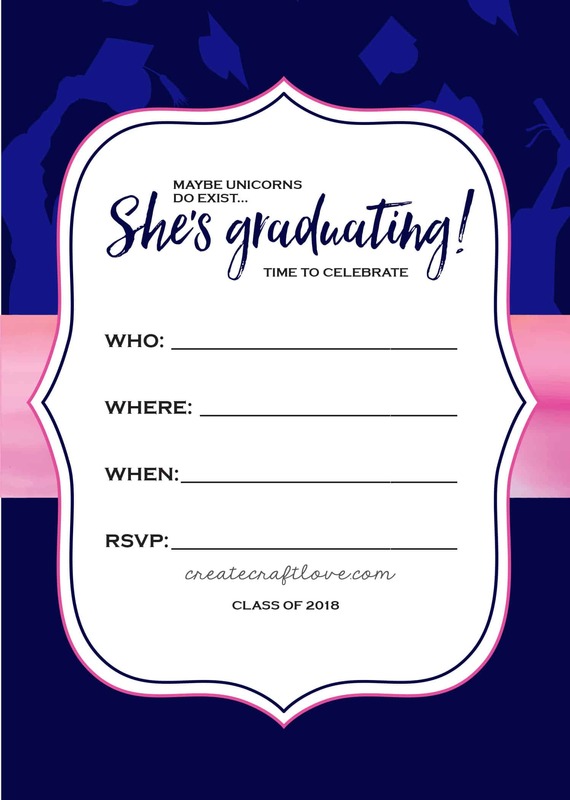 Click HERE to download your Customizable Graduation Invitations!